Love this picture of our littlest guy from a year ago. I feel very passionate about encouraging kids to enjoy healthy whole foods. 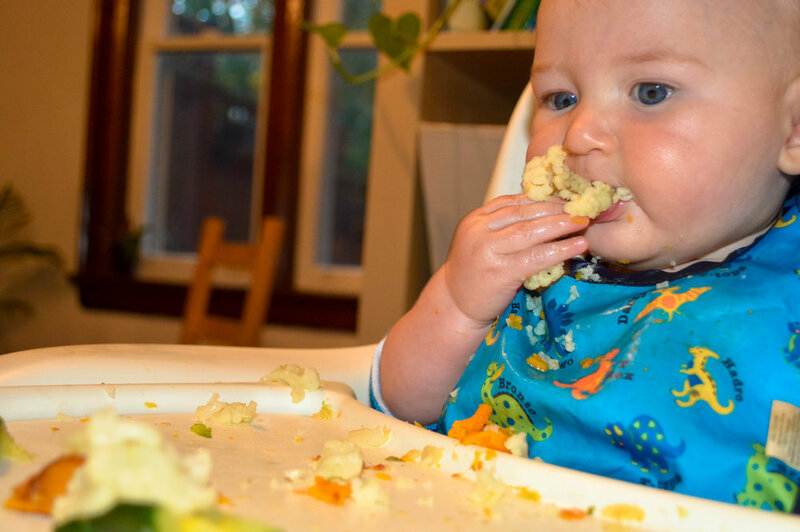 So when considering the options, baby-led weaning was a natural choice for us. We used this method exclusively and very successfully with all three kiddies when they showed signs of readiness at six-months old. I’m not a ‘nutritionist’, but a Midwife/Mummy. I’ve researched this technique extensively and have previously hosted BLW workshops. 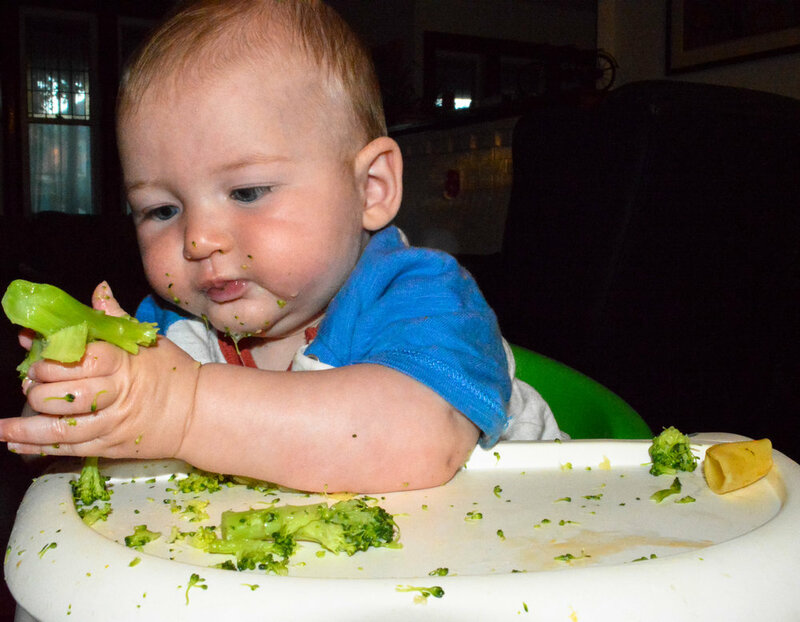 Here is my very honest account of the Baby-led weaning process. 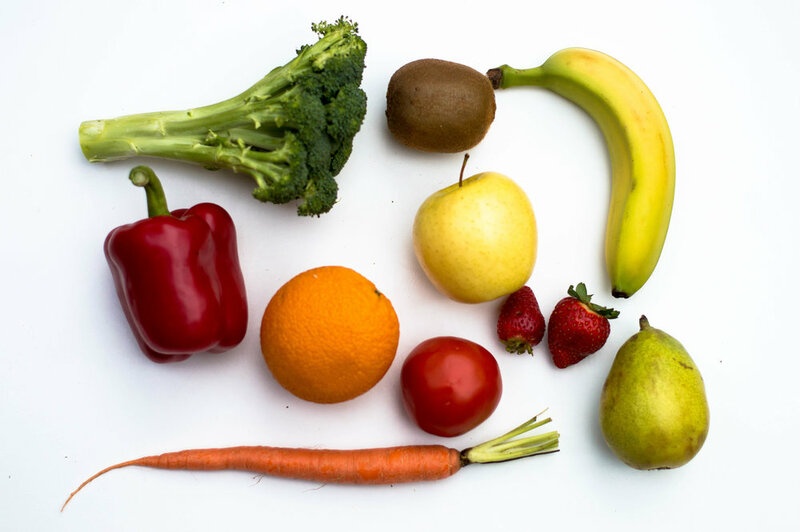 Not only is it a great method to encourage self-feeding and healthy eating habits, BLW is great for babies but it’s also very kind on the environment. In the interest of green living, we strive for a zero-waste lifestyle. Preparing and offering wholefoods means there are no jars of baby food, pouches and packets used, and no processed food. There are instead only food scraps which can be composted, placed in the food recycle compost bin or fed to any chickens if you’re lucky enough to have any pecking around in your garden. I’ve never puréed (I simply don’t know how other mums find the time.) I’ve never spoon-fed and never purchased a jar of baby food. I have however spent hours on my hands and knees picking up scraps and scrubbing the dining room floor (it’s amazing the radius around a high chair which can be covered in food after a meal). And I’ve hand washed endless amounts of clothes and bibs and watched the faces of onlookers in restaurants varying from curiosity to complete horror as my very little people took hold of pizza slices and whole florets of broccoli, and dug their little fingers into handfuls of spaghetti. Watching the journey of discovery and exploration of flavor and texture is entertainment for the whole family. Theo and Isla thoroughly enjoyed Indi’s first few weeks of eating discovery over a year ago. Giggling with delight when he flung food. ‘Mum! Indi just tossed his broccoli on the rug’ and ‘Mum! Indi just dropped his banana into Daddy’s shoe’. They howled with laughter when he throw his spaghetti and it stuck to the wall. They loved watching him cover himself in hummus and make funny faces as he sampled new foods for the first time. This post is not an exhaustive guide. Rather, just enough information, plus a list of great resources to inform and inspire you to research BLW further. Only then can you make an informed decision about whether it’s right for you, your baby and your family. If you’re even slightly on the OCD side about mess, this might not be for you. Even these pictures might make you anxious. No matter how many precautions you take, food WILL find its way to places you do not desire it to go, and you will, to your horror, realize you’ve trodden in carrot and walked it all around your kitchen, living room and beyond. You will find old, rubbery chunks of vegetables where you least expect them, weeks later. But we wouldn’t have had it any other way. 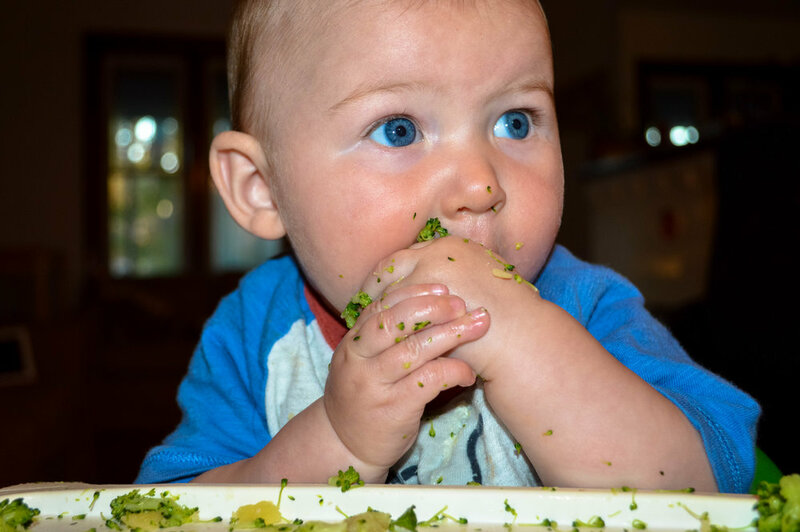 Baby-led weaning (BLW) means forgetting purées and weaning spoons and simply letting your baby feed herself, allowing her to lead the whole process using her instincts and abilities. The mess. Yes it truly does make a magnificent mess. But for most babies this messy period is quite short. Baby gets plenty of practice feeding themselves so they quickly get good at it. All three of my kiddies were using a spoon independently by 12 months and a fork by 14 months. Health experts agree that it’s best to wait until your baby is six months old before offering solid foods. The American Academy of Pediatrics, the World Health Organization, and others recommend that babies be exclusively breastfed or formula-fed for the first 6 months of life. Your baby can sit without support. This is important. 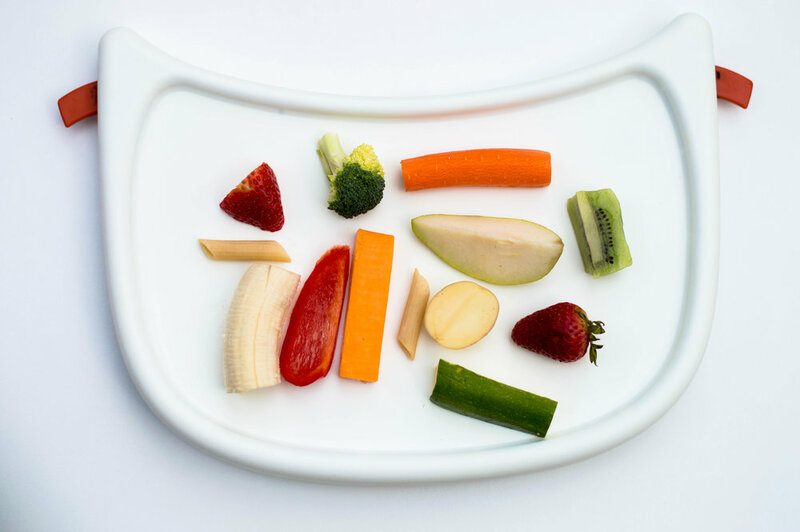 The role of solid foods in the first year is not about calories and macronutrients like carbohydrates, proteins and fats, which is not to say that the nutrient content of your baby’s foods is unimportant. Breast milk or formula serves this role – providing ample nutrients and wholesome fats, particularly if the mother is well-nourished. Instead, the role of solid foods is to introduce your baby to varying flavors, aromas and textures. The key to BLW is to enjoy a relaxed approach. Know that your baby will receive adequate nutrition through milk feeds. You don’t need to purchase expensive prepackaged baby foods, nor equipment for making them at home; rather, simply prepare (cutting into sticks/ hand sized pieces) real food from wholesome natural ingredients and serve them to your family – baby included. Let your baby pick up, mash, gum, taste, sample and explore the foods your family would normally eat during regular meal times. You take these (lots of yummy fruits/ vegetables (par steamed) most meat and fish is also ok, plus eggs and cheese). Cut them up into these, chunky pieces easily held by baby. When do babies need extra nutrients. At six months babies gradually need more nutrients than milk alone can provide. So by nine months when significantly more nutrients are needed, the babies have the skills to eat and obtain them. Between 6-9 months the amount of milk your baby takes will be more or less the same while solid food gradually increases, this process will vary baby to baby. Babies don’t need teeth to chew, gums can do the job effectively. Provided baby is in control of the food that goes into the mouth, BLW does not make choking more likely.Gagging is a retching movement which pushes food away from the airway – this is a safety reflex. Choking and gagging are different, it’s important parents can recognize the difference. Having control keeps them safe.Choking hazards such as nuts should be avoided, fruits like cherries, grapes and cherry tomatoes should be cut in half or quarters. And of course, you must never leave your child to eat alone. Before starting the weaning process and particularly at this age when babies are starting to put all objects in their mouth, I strongly encourage attending a basic first aid course which will cover chocking. There are certain foods to avoid, especially if there are known allergies in the family. Avoid adding salt and sugar to foods or serving processed food. Also avoid Honey, shellfish, shark, marlin and under-cooked eggs, please do read up on this further. Search BLW on Pinterest, and find hundreds of ideas and recipes. 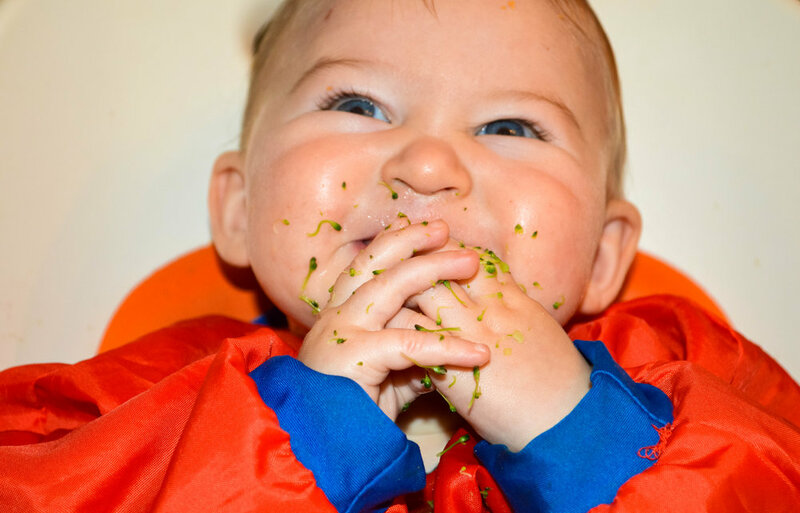 Would love to hear about your ideas, thoughts and experiences with Baby-lead weaning. Thanks for popping by.